Simon is a Board member of Nualight Ltd. He has over 30 years’ experience in Private Equity and 14 years in Resource Efficiency. He has invested in a broad range of industries, geographies and deal types from growth capital to financing large multinational buy-outs. 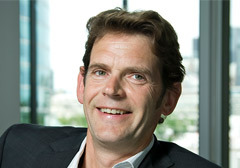 Simon is a former Partner of Charterhouse Capital Partners, a leading pan-European private equity firm. Simon has a Bachelor’s degree in Chemical Engineering and an MBA from Cranfield Business School.